The word taike (pronounced tie-kay) was used when First Nations and South Asian men worked and lived together at lumber mills. It means ‘father’s elder brother’. We hope to highlight and reinvigorate this special and shared sense of community and kinship between these communities. Indian Summer Festival has introduced a multi-year strategic programming stream called ‘Taiké,’ intended to bring together South Asian and Indigenous artists in meaningful collaborations and conversations. With our mission to create an inclusive, diverse and culturally-rich society, our curatorial practice is to center and amplify South Asian voices in conversation with other artistic communities. 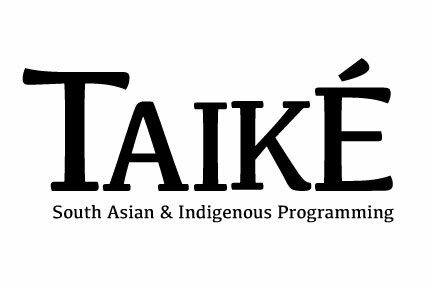 The addition of the Taiké programming is to support solidarity between South Asian and Indigenous communities through the arts. Over the years, Indigenous and immigrant organizations have acknowledged that there is limited inter-cultural interaction between Indigenous and newcomer Canadians. But this was not always the case among South Asian and Indigenous communities in BC; in fact there is a Punjabi word for First Nations people that exists only in BC. We reintroduce Taiké with respect for this history and with the intention to reignite this sense of kinship. A number of this year’s festival events are part of the Taiké programming stream; look out for them where you see the Taiké icon. *Free or reduced-price tickets are available for Indigenous community groups to attend Indian Summer Festival events, please contact Laura at outreach @ indiansummerfest.ca to request tickets (subject to availability). This program has been supported by the Province of British Columbia and the Vancouver Foundation.